If you frequently park your RV in very remote locations for extended periods of time and wished for more gain in your cellular boosting capability, then today weBoost has a new product designed with you in mind. Based on their home Connect 4G amplifier and antennas, the Connect RV 65 also includes a few installation components that make this booster a bit more friendly for RV use - namely a telescoping pole and more suitable cabling lengths. 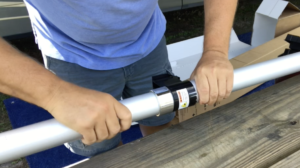 The telescoping pole collapses down to about 6' for storage, and can extend up to 25' - it comes with mounting brackets to attach to the side of your RV. Just like the base kit, the powerful amplifier is matched with the Wideband Directional (Yagi-Style) for use as the external antenna hoisted up the pole and a large directional panel antenna for inside use. Like the Connect 4G, the booster supports the major frequency bands utilized by Verizon, AT&T, T-Mobile (minus their new Band 71 - no booster supports this new frequency yet) and some from Sprint. It can boost multiple devices at a time. It also claims a boosted range of up to 5000 sq ft - so it should cover the interior of any RV plus more. Priced at $649.99 it is $100 more expensive than the home based Connect 4G kit at $549.99 for these extra installation components. 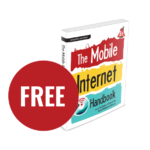 It is $150 more expensive than the Drive 4G-X RV kit they released last year intended for mobile RVers. But First, Why Stationary Only? Back in 2014 the FCC set standards for LTE boosters that restrict cellular amplifiers to just 50dB of gain for mobile applications. This was meant to apply for use in vehicles while in motion. RVs however blur the lines between being mobile while in transit and being stationary when parked. Some RVers want a boosted signal while underway and while parked at camp. And others are only concerned while they are parked. The 65dB gain of the Connect RV 65 and Connect 4G is above the legal 50dB limit for mobile boosters, but the wideband directional exterior antenna included in the kit is not usable while in motion, requiring setup and precise aiming at every new location. 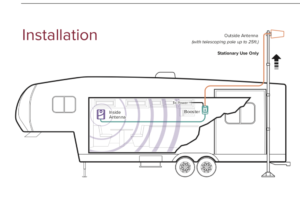 This setup requirement allows weBoost to certify use of this booster in a parked stationary RV, whereas mobile boosters come with omnidirectional antennas that require no aiming and can be used while in motion. How Practical is this for RV Use? The shipping boxes from weBoost for the Connect RV 65. 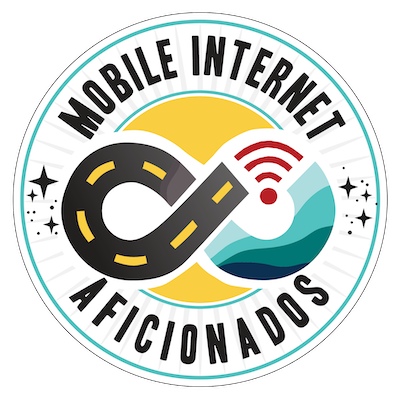 While a directional antenna and stronger amplifier will indeed create a stronger boost and thus help you reach a further away tower with usable results - it does come at the cost of increased setup time at each stop as compared to a mobile cellular booster. 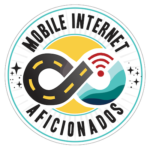 For occasional RVing or longer term stays, this may not be much of an inconvenience and worth the while to maximize the signal received. For those that move more frequently, this could become a frustrating hassle. Because of the increased power of the amplifier and the high gain ratings of the antennas, it is critical that the interior antenna and exterior antenna be placed to avoid oscillation. The exterior antenna being up on a 25' pole will definitely help with antenna separation to avoid oscillation AND with line of sight issues back to the tower. And only this level of power and high gain is needed with a very weak remote signal. A setup like this can actually be overpowered in more moderate signal areas. The pole is pretty substantial. weBoost estimates that setup and take down time is about 30 minutes cumulatively. For those who move locations frequently, this should definitely be factored into your decision on which booster to utilize - as well as the storage space needed for the pole. For these reasons, it's recommend RVers who move locations consider one of the boosters designed for mobile use. Even though those booster kits come with omni-directional antennas which are lower gain, they can be quite effective in most signal conditions and require no setup upon arrival. They can also be used while in motion. 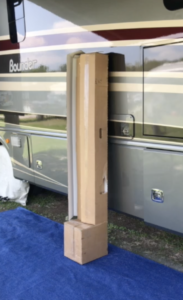 Many RVers also travel with a directional exterior antenna that they can mount on a pole when the extra gain is needed - creating a much more flexible setup for mobility. Who We Recommend This Kit For: If you find yourself parked long term in an extremely weak signal area where other signal enhancing gear just isn't cutting it - this kit may be worth a try. But always keep in mind, there has to be some signal in the area for any booster or antenna to work. Also keep in mind, that in many signal conditions a MIMO antenna (multiple in multiple out) can outperform a booster when using LTE data. 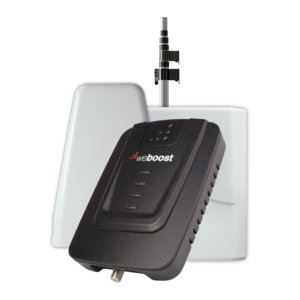 In 2015, weBoost launched their similar RV 4G kit, based on their 60dB gain Home amplifier. It used the directional panel antenna as the exterior donor antenna, and the same desktop antenna that the Drive 4G-X RV kit utilizes. This new kit is considerably more powerful in both the amplifier and antennas used. 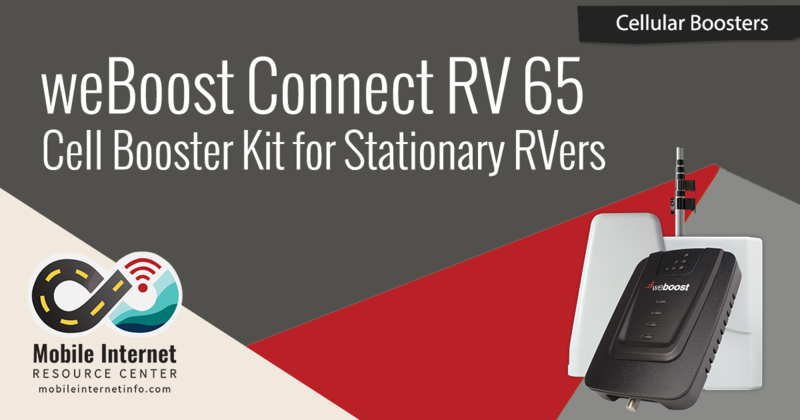 weBoost has since discontinued the RV 4G booster kit, and the Connect RV 65 will be their targeted product offering for stationary RV applications. 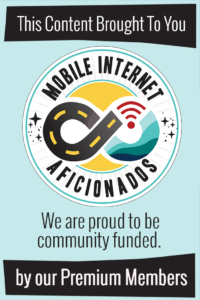 We currently have two Mobile Internet Resource Center staff members conducting cellular booster testing (your founders here - Chris and Cherie - are currently in their boating season, and unable to adequately test RV specific gear this summer). One team member, Joe, has new weBoost Connect RV 65 kit and will be testing it directly against the Drive 4G-X and Drive 4G-M boosters. Another team member, Richard, is taking the newly announced SureCall Fusion2Go 3.0 and running tests directly against the Drive 4G-X. SureCall has made the claim that their new booster should outperform our top pick weBoost Drive 4G-X. Our review page will be updated once our team has had more hands on time with the new Connect RV 4G. 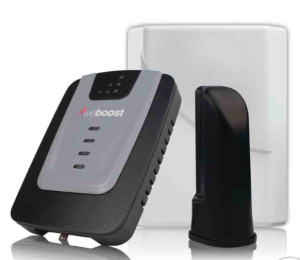 The new weBoost Connect RV 65 is now available direct from weBoost, and should soon be available by other retailers like TechnoRV, Repeater Store and Amazon. and save 10% on any booster purchase over $100. Members, be sure to also check our Member Discounts page for special discounts offered by other retailers. 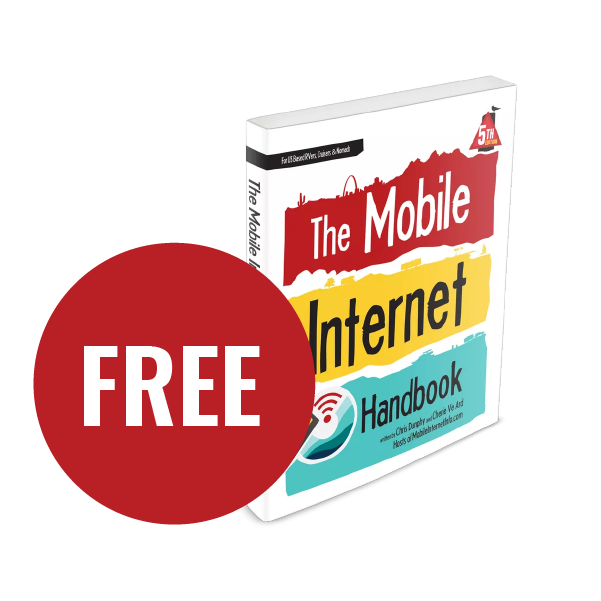 Directional Antennas – Worth The Hassle?